16.5" wide x 14" height. approx 1" depth. Flat tote. 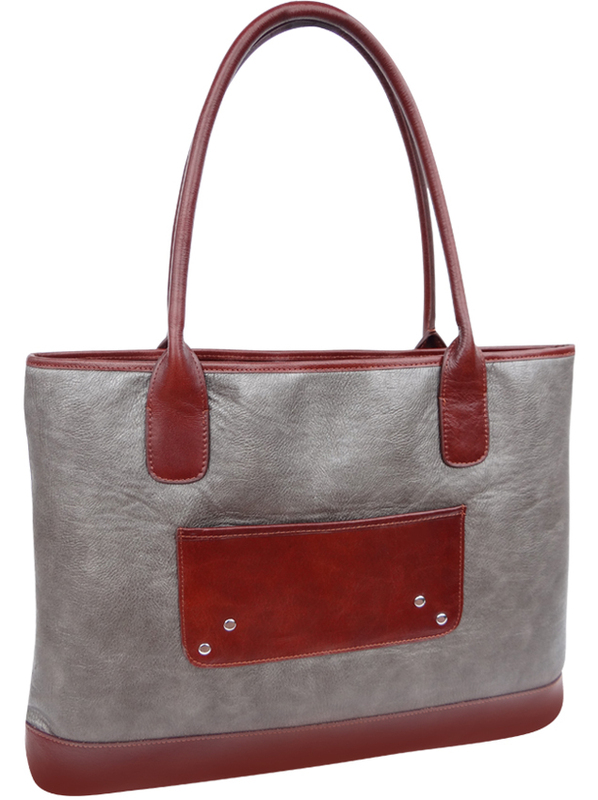 Exterior body: Faux leather in pewter. Interior quilted high performance nylon. All real leather handles, leather pockets, and leather trim. Exterior open leather pockets on both sides. Handles to wear over shoulder.